Finally the World Cup reached Africa. One of the main goals and dream of Joseph Blatter since he entered the presidency of FIFA in 1999, was to bring the competition to the African continent, and after the failure of 2006, when Germany won the ballot, he implemented the rotation policy that would eventually bring the competition to South Africa. The joy of the African people, marked by their tenderness to football, would be even more evident when Africa was given six spots (their highest ever) to the World Cup. The curiosities that would make this one of the most different tournaments were already seen one year prior the beginning of the games, when in the confederations cup the World discovered the infamous (or famous) Vuvuzela, the instrument that boozed like a giant bee inside the stadium, something that brought the players and managers to criticize public, but that would be maintained in the World Cup as sign of the African Culture. In the same year, the first great controversy would reach FIFA, when France, runners-up in 2006, qualified through a handball of Henry against the brave Irish team. Even with the French goal scorer telling on TV that his goal was not supposed to be allowed, FIFA denied a rematch and maintained France as one of the 32 squads. Blatter would also claim for more use of technology support, which would eventually see as critical during one World Cup match in 2010. To not gift France a free pass a seed to the World Cup, FIFA changed the entire system of ballots to the seeded teams in the draw, relying on the top 7 of their final rankings of October, plus the host South Africa, seen as one of the worst hosts ever and one of the worst South African teams for a long period. 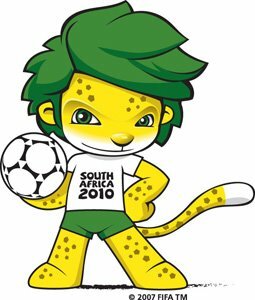 This emerged a fear that after the possible elimination of the Bafana Bafana in the first round (when they were drawn with a very tough group with two former champions Uruguay and France, and the always-tough Mexico) the competition would lose their support in a country where Rugby and Football dispute a lot of attention. Nevertheless, when the tournament began at the sound of the Vuvuzelas, with Nelson Mandela unofficially opening the ceremony, and the South African team entering the stadium chanting one of the most famous music of former protests against a country that in less than 20 years was banned from every international sport competition due the apartheid, the World saw how amazing and unique a World Cup in Africa would be. The Group A began with hosts South Africa and Mexico clashing in a very good match, which would eventually end in a draw after a remarkable opening goal of Tschabalala. Later, after the second consecutive draw of Uruguay and France, the terror that began in 2009 for Les Bleus would consecrate in a mutiny led by Ribery and Evra against Domenech, the head coach of France who didn’t call to the World Cup some of their best players, Benzema and Trezeguet; using Henry as a reserve, in which he claimed that their astrological map would lead France to a defeat. A defeat indeed when Anelka was expelled from the camp after blatant cursing at the French coach, leading the team to two defeats to Mexico and South Africa and the elimination in the first round. Uruguay would break a spell of 20 years without a win, and give glimpse of resurrection on the World stage after beating both South Africa and Mexico guided by Forlán, Luisito Suárez and the incarnation of Garra Charrua, their captain Lugano. Mexico claimed the second spot on goal average after South Africa beat France only by a 1-goal margin. In Group B, Argentina, led by their myth and by some, god, Maradona would claim an easy first spot in the group, but the tactical mess of the squad was evident in the majority of the games, relying on the best player in the world, by the time, Messi playing out of position in a totally attack-minded team. South Korea would re-launch memories of their 2002 campaign, beating Greece and drawing Nigeria to claim the second spot in the group. What England thought would be an e-a-s-y group (as the Mirror newspaper joked with the names of England, Algeria, Slovenia and Yanks – the USA) during the draw of group C, managed to almost eliminate the three Lions. Two draws against the USA and Algeria forced the Englishmen to overcome Slovenia to qualify, and more than that, to score more than 2 goals to avoid their black wing Germany in the round of 16. England indeed beat Slovenia and qualified, but in second spot, after Landon Donovan scored a last minute goal against Algeria that put the USA in the second round, and that marked “soccer” into the Americans heart forever, as the public demonstration of the enthusiasm with the World Cup finally reached the country. Germany, with a very young squad, almost cruised in Group D; destroying Australia and beating Ghana with some sort of calm. The 3 wins in 3 matches did not happen due to a fantastic win by the good team of Serbia; a good but unreliable team, as seen after being defeated by both Ghana and Australia. Ghana qualified in second spot due to goal average against the Aussies and became the only African team to reach the second round in the African World Cup. Group E saw what would become an evidence in this World Cup, the fantastic generation of Netherlands, led by the trio van Persie, Robben and Sneijder. The Dutch beat Denmark, Japan and Cameroon scoring five goals and conceded only one, maintaining the 100% that they had made in the eight matches of qualifying. Japan turned this to be the best Asian tournament after the one held on their own continent in 2002, by beating Denmark and qualifying in second. When the current holders, Italy, entered the game against Paraguay with almost the same team of 2006, everyone realized that the team had become too old to accomplish something important in the tournament. However, neither thought that after a draw with one of the best Paraguayan teams ever, the Azzurri would draw the favorites to last spot in the World Cup, New Zealand and being defeated by Slovakia, becoming the first holder to be eliminated two times in the first round of their defence of the World Cup (1950, 2010). Paraguay and Slovakia qualified. However, New Zealand should get a reward here, as they would be the only team who wasn’t defeated during the entire tournament, something that even the eventual champions wouldn’t accomplish. Group G saw what could be a fantastic match against Brazil, from Kaká and Portugal from Cristiano Ronaldo. Nevertheless, after Brazil cruised both games against Ivory Coast and North Korea; and the Portuguese managed to demolish the Koreans by 7-0; a tedious match, as tedious as Carlos Queiroz defensive tactics saw a 0-0 that qualified both. Had Portugal, or Queiroz had more ambition, Portugal could have qualified first position of the group, which would eventually avoid the tournament favorite Spain in second round. But, with only 3 goals conceded in more than 15 matches, Portugal saw this as the way to go. While Brazil, led by Dunga as head coach, changed everything in the mentality of what could remind the disastrous campaign of 2006. Locking the team in an almost military concentration and blaming the Brazilian press every other conference. Spain, the favorites, almost turned everything into a nightmare when they were beaten by Switzerland in the first round. Would the famous tiki-taka, who made Spain finally win a tournament in Euro 2008, be sufficient to claim the World Cup trophy? After beating Honduras and Chile, La Roja managed to qualify in first position due to goal average against the Chileans, led by El Loco Bielsa. Switzerland were eliminated, but managed to record the most minutes without conceding a goal (all their matches in 2006 plus the game against Spain and almost the entire game against Chile). When the knock-out round started, another of the great symbolism of this World Cup would emerge, the famous or infamous (as the Vuvuzela) octopus Paul; an animal that had predicted correctly every game asked in this tournament so far inside his aquarium in Germany. The octopus transformed himself as one of the main characters during the tournament. Uruguay continued its resurrection by beating South Korea thanks to two goals of Luisito Suarez on a rainy day; soon to be known their adversary later when Ghana repeated Cameroon '90 and Senegal '02 and reached quarterfinals after beating the USA in overtime. On the second day of the knock-out round, the technology would be the main character, technology that would be sufficient to not allow Argentina to score the first one against Mexico, on a blatant offside goal; which eventually led the Albiceletes to beat the Mexicans in the Round of 16 for the second time in a row; and the ball that crossed the line against the Germans, after Frank Lampard would make the equalizer in 2-2. But, that the referee denied (Karma, someone said). This crushed the England force, and Germany managed to score two more, to make the biggest defeat of the English team ever in a World Cup, 4-1. The third day was marked by two demolitions. While the Dutch steam rolled Slovakia in the return of injured Robben; Brazil eliminated Chile for the third time (1962, 1998, 2010), and would clash in the quarter-final. The pragmatic team of Dunga was rising as one of the favorites, with an incredible defensive system led by Lucio. On the final match day, Paraguay and Japan made a dull game decided only by penalty kicks, where Oscar Cardozo put the Guaranis for the first time in a quarter final; a day led by the Iberian derby among Spain and Portugal; Spain tiki-taka overcome the Muralha Portuguesa (The Portuguese wall) with a single goal of David Villa, after Eduardo managed to stop seven clear chances of goal by the Spaniards. Without someone to help Ronaldo, and relying on long shots by the tricky Jabulani (who by then also had become a main character of the World Cup, due the improbable curves that happening when it was kicked) Portugal was eliminated after conceding only one goal and scoring seven, but all against the poor North Korea. “Go ask Queiroz!” resumed the phrase of Ronaldo for the lack of attacking of the Lusitanos. The quarterfinal began with Brazil controlling the Dutch in every aspect, the 1-0 in the first round was a bonus for the Oranje, as Brazil had five clear chances to score on Stekelenburg; when the second half seemed as the maintenance of the result prompting a fan favorite final among Brazil and Spain, Netherlands guided by Sneijder changed the match scoring two goals on Brazilian defensive errors and put the Dutch in the semi-final again, after two world cups. Their rivals would be Uruguay, who beat Ghana in one of the most amazing World Cup games ever. After the draw in regular time, Asamoah Gyan had the chance to qualify the Black Stars in the last minute of overtime after Luis Suarez handed the ball that was clearly going into the Celeste goal; giving the Africans a penalty kick and his expulsion of the match. Luis Suarez had become both a Hero and a Villain; but after Gyan hit the bar, and Loco Abreu did a Panenka in the shootout to qualify Uruguay for their first semifinal since 1970; Suarez became the eponymous of the human-being a mix of a hero and villain for all; but a national hero for the Uruguayans. Germany maintained their fabulous form relying in their young team of Müller, Schweinsteiger and Podolski; all guided by the experience of Klose and won 4-0 against a completely lost Argentinean team. Their rivals? Finally, Spain, after 60 years without reaching a semifinal, the tiki taka of La Roja managed to help control the game and beat Paraguay; a brave Paraguay, who was the only team who almost eliminated Spain during this competition, after Cardozo, the hero in the Round of 16, would become a villain by missing a crucial penalty kick against Casillas. In the semi-finals, Netherlands overcame Uruguay; while Spain defeated Germany with a header from Puyol. Making this, the first World Cup where neither Argentina, Brazil, Italy nor Germany would reach the final game. Germany claimed the third place and put Klose tied with Ronaldo as the highest goal scorer in the competition. Uruguay, the 4th spot resurrected their mythical shirt and put Forlán as the best player in the competition. The final day had come; a team would be crowned for the first time a champion, the 8th in the row of champions. The Dutch, who lost two finals, and the Spanish, who dominated World football in the last two years with the focus on tiki-taka in La Roja, led by Aragonés to Euro 2008 title and Barcelona, the core of this squad with Xavi and Iniesta as key players. In a tough match, with only a few chances of goal, and the most violent final ever. Only Iniesta would manage to crack someone down with a venomous shot in the final of overtime. Spain, the tiki-taka had finally won. La Roja finally expired the acronyms of a team that never accomplished anything, and would reign for two more years as the best squad in the World. The African tournament had ended as one of the most unpredictable in the history of the competition; well, not for Paul, as the small octopus also predicted the trophy to Spain. Nevertheless, who wouldn’t?